Here’s a look the key political events since Thailand’s last general election. Aug. 5, 2011: The House of Representatives elects Yingluck to become Thailand’s first female prime minister. June 2012: Yingluck’s ruling party pushes legislation to promote national reconciliation with the stated goal of ending the sometimes violent political conflict that has roiled the country since the 2006 coup. Critics charge it is meant to help Thaksin escape justice and return to Thailand as a free man. April 2013: The Constitutional Court rules that Yingluck’s government cannot make amendments to the 2007 constitution, which was enacted by an interim government that had been installed by the 2006 coup. Nov. 24, 2013: As many as 100,000 anti-government protesters rally in Bangkok, demanding that Yingluck’s government step down. Nov. 29, 2014: Veteran Democrat Party politician Suthep Thaugsuban forms the People’s Democratic Reform Committee to demand the dissolution of Yingluck’s government and the establishment of an unelected “people’s council” to reform the country. 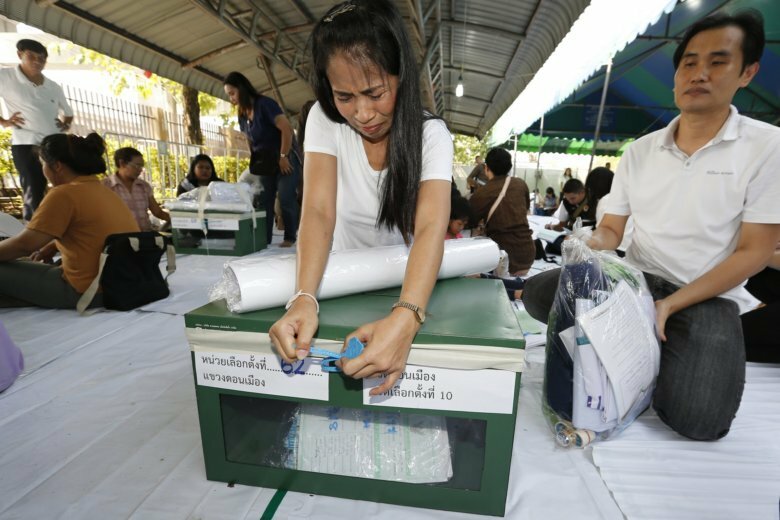 Feb. 8, 2019: The Thaksin-affiliated Thai Raksa Chart Party registers the king’s elder sister, Princess Ubolratana Mahidol, as its candidate for prime minister, breaking with the idea that members of the royal family are above politics. That same day, the king issues a royal order calling her registration inappropriate and contrary to the constitution.